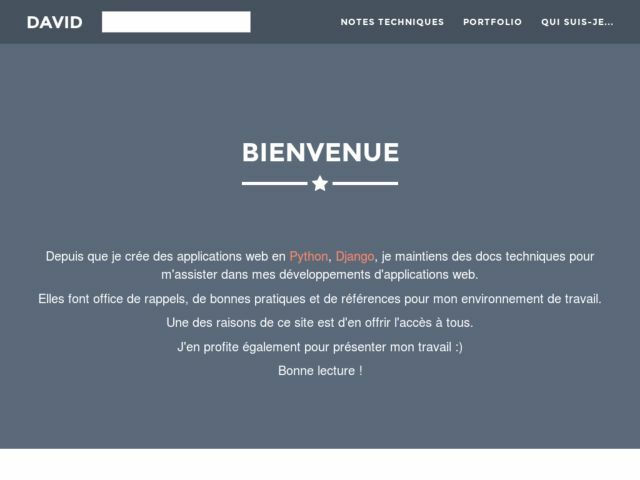 Since I create web applications in Python, Django, I maintain technical docs to assist me in my web application development. They serve as reminders of good practice and references to my work environment. One reason for this website is to offer access to all.